We often take for granted the work involved with creating a national park. Roads, trails, campgrounds, bathrooms, offices, signs, invasive species removal, ecosystem restoration, not to mention the community and public policy work – the list goes on. With a project in the works - Chile’s future Patagonia National Park - we had an opportunity to explore in detail what it takes to create a world-class national park, including its beautiful trails. Since it purchased the land in 2004, Conservacion Patagonica and its staff and volunteers have been working hard to put in place everything needed to restore this former sheep ranch and to responsibly make small amounts of it accessible for the public's recreation. Several of our recent blog posts cover various areas of this effort such as the park’s tourism facilities, organic garden, biodiversity, and lesser rhea repopulation effort, while this post is related to the park’s trail system. Trails can sometimes go back decades, or even hundreds or thousands of years if they were former indigenous trails or wildlife paths. You may find yourself hiking on a path high up in the mountains, looking down at the carefully set stones under your feet and wondering who in their right mind carried those up there and set them in a way to last far into the future. This is especially mind-boggling when you’re covered in sweat, carrying a fully loaded backpack, and four days into a hike in a remote area. Paths are cut and leveled out, stones are placed for stairs or stabilization, and vegetation needs to be continuously cleared in forested areas – though this last part often happens “naturally” if the trail receives a decent number of hikers. In the Chacabuco Valley, much of the land had been overgrazed after decades of intensive sheep farming. In certain areas, the land grew dry and desert-like, but, with the help of park staff and volunteers, it did not take long after the sheep population was reduced for the land to begin its healing process. And as the work within the park expanded, new trails were built throughout many areas of the property, offering visitors hiking paths with views unlike anywhere else in Chile. These trails were not here when the land was a sheep estancia. They have been built over the last decade, the same ways many trails are built: with lots of hard work. 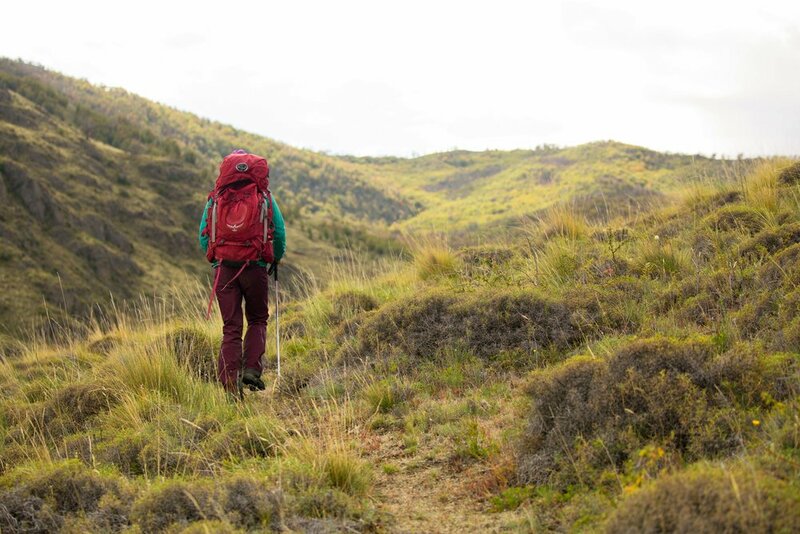 The future Patagonia National Park’s trails take visitors through some of the most beautiful areas of the Chacabuco Valley, crossing forests, grasslands, alpine meadows, and glacial rivers. Most of the trails are made for day hikes, allowing for visitors to base themselves at one of the park’s well-built campgrounds or perhaps, if one would like to splurge, at their luxurious lodge. As of June 2017, there were eight trails open to the public and three more in progress or planned. When completed, there will be over 100 miles of hiking opportunities throughout this incredible part of Chilean Patagonia. We’ve written a short description for each of the trails at the bottom of this post, and we also had the opportunity to ask Tompkins Conservation’s Park Superintendent, Dagoberto Guzmán, some questions regarding the work entailed for these trails. 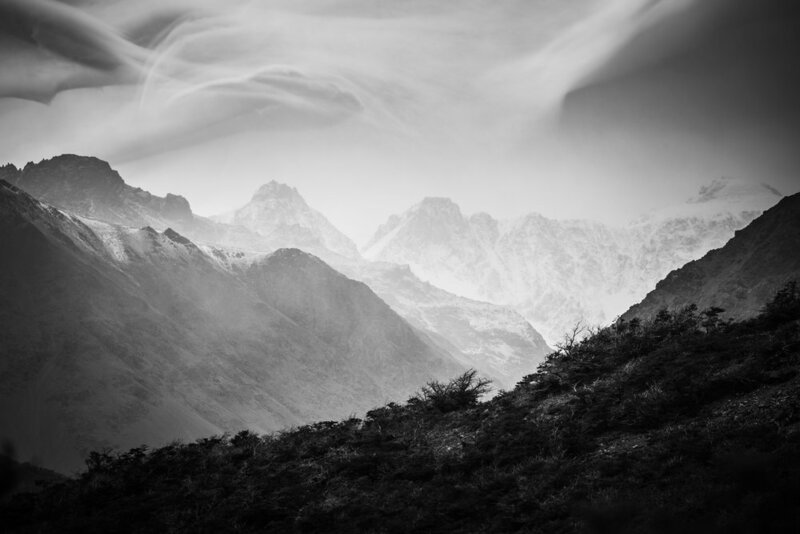 Prior to working at Parque Patagonia, Mr. Guzmán was the Superintendent at Tompkins Conservation’s Pumalín Park further to the north in Chilean Patagonia (and also an incredible place to hike and explore). Conservation Atlas (CA): When building trails in a future national park, how do you ensure that the goals of conserving this area are met, while also including sustainable tourism in the management plan? Dagoberto Guzmán: One of the major challenges in protecting wild areas is the conflict between conservation and public access. There is a phrase used in conservation that says 'we do not take care of anything we do not know', which is very true; we need the people who have no idea what is involved in the creation and justification of the existence of a park to understand what is happening here. And for that we need public access, which has an impact on the natural area and its ecosystems. The important thing is to maintain a balance, and for this there are different methods of evaluation (such as applying the Limits of Acceptable Change [LAC] concept, among others) that allow us to control the direct impacts of public access. CA: How many trails are there in Patagonia Park and how were the routes and location to create them chosen? Guzmán: Currently in Patagonia Park we have eight finished trails with a total of 123 kilometers of footprint: Los Gatos, Avilés, Lagunas Altas, Lago Chico, La Vega, Furioso, Lodge to Laguna, and La Confluencia. We have a lot of experience building paths. We have a good idea of what people are looking for when they want to hike in a park. When we have some attractive features or an area of interest that we want to access, we work on the best footprint for the route, focusing on a low environmental impact and low maintenance costs. CA: What are the plans for future trails in Patagonia Park? Guzmán: We have plans for 76 kilometers of additional trails: the 34km Siete Lagunas Trail, the 13.1km Huemul Trail, and the 28.2km Furioso Bicycle Trail. CA: What lessons did you learn during the creation of the Pumalín and Patagonia parks that you can share, so that other conservation areas can be more efficiently organized / improved? Guzmán: (laughs) We have a long list of failures and errors. It is always good to have them in sight so that you can tell others what not to do, which is as important as saying what to do. · Surround yourself with people better than you. This is to form a solid team and complement each other. · Almost always, the more complex and apparently difficult option is the correct one. A bathroom with a worm filtration system for wastewater treatment is better than a common one; an alternative renewable energy system is better than a conventional one, though at first they might seem harder to do. · Challenge yourself every day and work to fulfill it. This can range from the simplest to the most complex. · Be tenacious and persevering. Discipline is the best ally when it comes to performing complex tasks. While visiting Parque Patagonia, we had a chance to hike along three of the trails: Lagunas Altas, Aviles, and Los Gatos. Each trail offers something different, and we hope that the descriptions below might help with your future visit to this incredible future national park. Accessibility: The trail starts at the Casa Piedra campground, which is a ½ hour drive from the park offices (about 15 miles of dirt road). Description: This trail starts in the Chacabuco Valley and heads up the Avilés Valley, into the Jeinimeni National Reserve (which will also become part of Patagonia National Park). The valley is very picturesque and relatively flat, yet surrounded by jagged mountains with several pristine streams. Accessibility: Find parking and the trailhead near the intersection of the Carretera Austral with the main park road. Description: This trail heads to the confluence of the Baker and Chacabuco Rivers. The Baker is Chile’s largest river by volumetric flow, and the Chacabuco flows through the future Patagonia National Park’s Chacabuco Valley. There is a beach and places to swim. Accessibility: This trail is towards the eastern end of the park, about a 45-minute drive (28 miles) from the headquarters. It shares a trailhead with the Los Gatos Trail and the future Alta Valle Campground. Description: This trail heads to a few small lakes, including Lake Chico, whose blue waters and pristine surroundings appear very inviting. There is also a lookout called “Mirador Douglas Tompkins” that was recently built, with views of Mt. San Lorenzo in the distance. Accessibility: This trail shares a trailhead with the Lago Chico Loop trail and the Alta Valle Campground, and is about a 45-minute drive east of the park headquarters. Description: Los Gatos starts in a forest and descends into a valley with incredible views (assuming it’s not cloudy) of Mt. San Lorenzo in the south, as well as of the brilliant blue waters of Lake Cochrane. The valley is beautiful, and it is said that this part of the park holds one of the higher concentrations of pumas in the area. Accessibility: This is probably the most accessible trail of the park, given that it’s a loop trail that starts and ends at the park headquarters. Description: This trail climbs the mountain range the divides Valle Chacabuco and Tamango National Reserves, behind the park headquarters, and which includes Mt. Tamangito and Mt. Tamango. There are several small lakes high up in the mountains, hence the trail name, and the scenery of the surrounding valleys and mountains is spectacular. Watch for condors soaring at eye-level and wandering guanacos. The trail is a long day hike, with a steep beginning and ending, but drinks and food await you at the park’s restaurant below. Accessibility: The trail is accessible from the main park offices, with its trailhead behind the lodge, and ends at the Los West Winds Campground. Description: This trail is an easy introduction to the ecosystems of the Chacabuco Valley. Accessibility: There are two optional trailheads off the X-83, which is the main road that cuts through the Chacabuco Valley. The first trailhead is in Cuadro las Vacas, and the second in La Isla. Description: This trail starts along the Chacabuco River and winds up through the Furioso Plateau, offering great views of the valley and of Cerro Kristine. More information about these trails and the park can be found on the Tompkins Conservation park brochure, and if you are looking for a full-on backpacking experience, Chulengo Expeditions offers 8-day trips that traverse the backcountry of the future national park. We had the opportunity to join them on a trip in April 2017 and highly recommend their outfit!